Best way to do 200 push-ups in a day! Before there was the bench press, there was push-ups! Push-ups have always been one of the best forms of exercise around. Not only does it work your chest, but also your triceps and your core! Push-ups are great because they don't require any equipment but can drastically help to transform your body into a work of art. No matter if you are advanced or a novice in working out, push-ups can help you take your training regime to the next level. This article will attempt to help you start doing 200 push-ups a day. I know, I know, that sounds like a lot of freckin' push-ups! However, I am not telling you to do them straight. I mean, if you can do 200 push-ups straight then that is awesome! Feel free to give me as many tips as you like lol. But a more realistic goal would be to break up this 200 into smaller portions. This can be done in a variety of different ways but this is what I recommend. If you are a beginner, do 20 sets of 10. If you have been doing push-ups for a while then 10 sets of 20 will work a little better. I know this sounds like it will take forever but it really doesn't. Sets of 10 and 20 don't fry your muscles so you recover quick and can knock out your next set with fairly little rest time. How often should I do this? Some people prefer doing push-ups everyday some every other day. I say listen to your body and do what you feel comfortable with. Over training does exist but I also believe we too quick to limit what our body is capable of doing so I say push until it tells you to back off. In no time your numbers will start to go up and your max output of push-ups will be greater than when you began. The beauty of bodyweight exercises! Couple push-ups with body squats, dips, and pull-ups and you have a pretty complete total body workout that really eliminates the need for a gym. 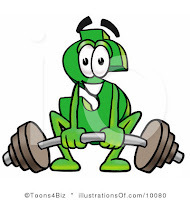 The other benefit to body weight exercises is that your risk of injury is greatly reduced. There is no real need of the typical "warm-up" because you warm-up doing the exercises. Also, the high reps one usually performs while performing these exercises carry over into your general conditioning as well. Give this routine a try for a few weeks! I'm sure it will leave you feeling BEAUCOUP FIT! This p90x spoof is funny. Have a quick laugh! Workout to Survive life and the craziness it throws at you. Prayers to those in Boston! These are the reasons why I train! You have to train for life, because you never know when you will need to be able to run a mile for safety (9-11), or have the strength to carry someone who is injured, or hold on for your own dear life...you just never know so you have to TRY your best to be prepared for anything and everything life throws at you! 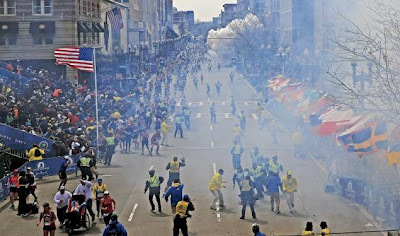 The bombing in Boston was another reminder of the crazy world we live in. As I no longer train for track and field, people ask me why do I still train! I train to survive the craziness this world can throw at you, and you should too!? Yesterday was my birthday. I started my day at the French Riveria Gym running a client through a training session. No, I don't work there but I am thinking about interning with the franchise. I personally prefer the outdoors sports performance type of training but I would like to gain some in-gym experience as well. I specifically told the wife that I did not want any cake for my birthday. She decides she would bring home a box of cookies, and pastries instead. Needless to say, I de-railed from my nutrition plan big time yesterday. When it's out of sight out of mind, I am awesome but if you put too many sweets in my face, my will power is low lol. 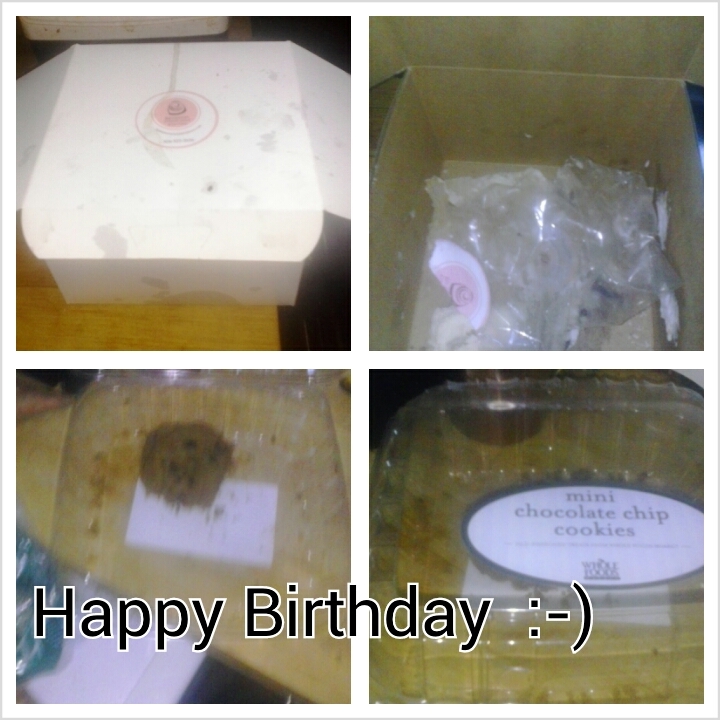 That box didn't survive the day! Ah well, as I always say, fall down, get up, and get back on the horse. I'll be getting my workout in shortly but I wanted to encourage someone that even fitness fanatics fall off track from time to time. Don't let that get you down. We workout hard, your body can handle a treat every once in a while. It won't kill you nor will it make you gain 5lbs in one day. Get back on track and keep it moving! To all of the rest of the Aries Babies out there, Happy Birthday! This is the best month to be born in! My last post was about the usefulness of pre-workout supplements. I do believe they can be a great asset to your training regimen. The problem is, most of them are filled with dangerous artificial ingredients. Well, I have found one that is made of organic ingredients and no artificial dye! The product is call Vega Sports Pre-workout Energizer. So let's get down to the review. Presently, there are two different flavors available: Acai-Berry and Lemon-Lime. 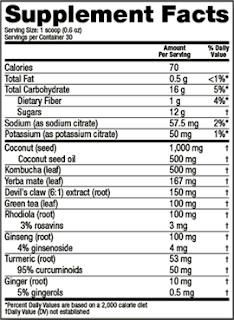 As you will see below, Vega Sports Pre-workout Energizer is made of top quality ingredients! Now you won't get any creatine or major protein in your servings but what you do get is pure plant based power! It has a mix of both high glycemic organic brown rice syrup and low glycemic organic palm nectar which aims to give you the immediate energy you need as well as sustained long term energy. 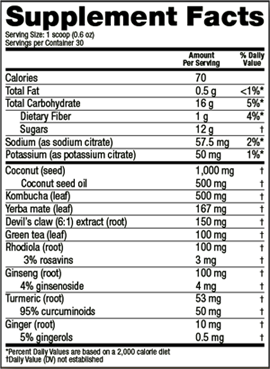 Here is a copy of the nutritional label from the website. Whole grain brown rice syrup, organic palm nectar, natural blackberry, strawberry, raspberry, acai and pomegranate flavors, citric acid, DL-malic acid, organic red beet powder. Whole grain brown rice syrup, organic palm nectar, natural lemon and lime flavors, organic spinach leaf, citric acid, DL-malic acid, beta carotene. Compared to the other pre-workout powders I have taken this one definitely tastes different than the others. While the major supplement companies go out of their way to make their products super sweet you will not notice that with this product. Initially, it tastes pretty bland however as your taste buds get use to it, you will notice slight hints of sweetness. I tried the Acai-berry flavor. It was far from intolerable or nasty but it was also far from the super sweet flavor you would notice with say Cellucor C4. Mixing this with a fruit juice may provide the solution to this however, the taste is definitely not a deal breaker. Some may even find it a refreshing reminder that this product is made from pure plant based ingredients and not artificial "poison." One packet poured into 8oz of water mixed just fine.Normally, I use a blender cup to shake my drink however this time I stirred it around in a mason jar. Everything dissolved pretty consistenly, and there were no clumps or noticeable remnants of the powder. Here is the major drawback!Let's face it better quality products cost more money to produce. No exception here. The cheapest price I've found online for a 1month supply of this product was $38.90 before shipping and handling. Compare that to say Cellucor C4 which you can get for $29.99. The serving sizes are drastically smaller also which may good or bad depending on how you look at it. Well, I have to first set some parameters. On this day, my workout was not first thing in the morning. I did not feel "flat" prior to taking the pre-workout so I am not sure if the Energizer made a difference or if I was just feeling good because of the time of the day. However, I will say that my energy levels were consistent throughout my workout and it was one of my better ones. 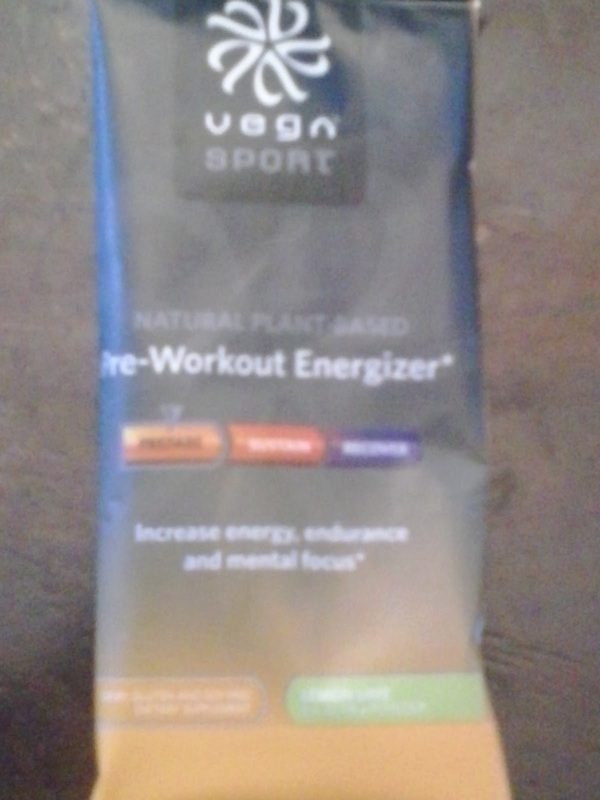 The question is, was it a placebo effect or was it really due to the addition of the Vega Sport Energizer. I definitely didn't feel the instant kick of adrenaline I experience with Optimum Platinum Pre. However, I didn't feel any crash at the end of the workout nor did I feel like my sleep was disturbed at the end of the day. Honestly, I felt the first experience was promising and I look forward to trying it again in greater duration to determine how it works on one of my "flat" sessions. Just off of the ingredients alone I prefer this supplement over the other major name brands. Have you tried Vega Sports Pre-workout Energizer? I'd love to get your feedback! Should you add pre-workout supplements into your routine? Pre-workout supplements...should you take them or should you avoid them like the plague. I'll be honest, I have worked out with pre-workout supplements and I have worked out with them. Most days, I am motivated and enjoy working out just off of my natural enjoyment for physical fitness. However, there are somedays where your body just doesn't feel "amped" up. Usually a good uptempo song will get you psyched up but sometimes that doesn't work either. On those days, enter the pre-workout supplement! Now, there are literally dozens of different pre-work supplements on the market to choose from but I will tell you about my experiences with the ones I've taken. What happens when you take it? Depending on your tolerance and the specific formula for that product, you will take between one to three scoops mixed with water. Any more than that and you will probably be bouncing off the walls for the rest of the day. Activation time varies but usually within 15-25mins your heartbeat speeds up and your blood starts pumping faster. This time usually takes place on your ride to the gym or during your warmup so by the time you are starting your actually workout you are primed and ready to go. Some products give you a more gradual buildup while others make you feel like you can lift a mountain almost immediately. One thing remains common, they are designed to give your body an extra kick to get you going and help you lift a little longer, and a little harder through your session. I have sampled three different products over the last year: Cellucor's C4, Met rx's AmpedECN NOS Concentrate , and Optimum Platinum Pre and all of them were pretty effective in my book. I've only used Optimum Platinum Pre one time but it did leave a lasting impression on me. C4, I have taken off an on for about a month and overall I think it is pretty decent. Some workouts are better than others but on days where I was feeling pretty flat I would mix up a little C4 for some extra "help"
Out of these three, I will say that Optimum Platinum Pre's seemed to be the most powerful. Whereas Amped gave me a subtle consistent increase in energy, with Pre I felt like I could take on the world almost instantaneously! I enjoy the flavor of C4 the most but like I said, my experiences have been a mixed bag. I always keep my doses down to either a scoop or a scoop in a half so I'm sure that makes a difference as well.I know many people may even go up to 3 to 4 scoops per serving but that isn't recommended and can lead to adverse affects. Recently, I've been seeing more videos and hearing more people talking about become dependent on these supplements. There have been some days where I felt like I couldn't get my mind into without the pre-workout supplements as well. The warm up starts to hurt like hell and your body wants that infusion of hypeness while your trying to get through those initial sets! The best thing I can advise would be to cycle on and off every 3 to 4 weeks. Or to simply not use them every workout. Personally, I have drastically limited my usage to only those days where I am feeling severely lithargic! Sadly, there are some cases where people become so dependent on this stuff that they have to take it before every workout, almost every day! You should never allow your body to become that dependent on foreign substances. I can only imagine the havoc this stuff wreaks on your CNS and your Adrenals! 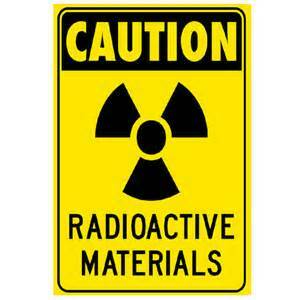 DMAA and other secret ingredients lead to health risks! re-workout supplements is due to the amount of harmful ingredients contained in them. DMAA was once used in some of the more popular brands (Jacked 3d in particular) and has been tied to several health problems including DEATH! and secret propriatary blends which don't disclose what is actually contained within. Therefore you are putting yourself at risk for longterm health problems in order to achieve small shorterm gains. It's almost common for the labels to include a label warning stating that you should not take the product if you are regularly tested for performance enhancing drugs, are pregnant, have high blood pressure, heart issues, or any other medical conditions. Many people get a good energy kick by drinking coffee before their workouts. I'm not much of a coffee drinker though. But, I hear organic coffee is a good alternative to taking these supplements. I have been searching for some organic pre-workout products though and looks like there are a few on the market. I bought a sample of Vegasport and I will be doing a review on that one in the next few days. If you are interested, here is the link to purchase it. Some of the reviews I've read are promising so we'll see! It is made with all organic healthy ingredients which is the major thing I am looking for. I am curious how it will compare to the blends though! My initial question was should you use pre-workouts products or avoid them like the plague. If you don't care about the ingredients you put into your body then you will definitely enjoy the benefits pre-workout supplements add to your workout! The increases in strength and motivation make you feel superhuman. They help you perform longer and go harder during your workout sessions! However, if you are like me and you double check every ingredient and your suspicious about artificial dyes and sweetners than you do want to avoid MOST preworkout products like the plague. After the removal of DMAA most products have become a bit safer however the long term risks of cancer and other health issues still remain due to the artificial ingredients. Hopefully, my trial of the Vega Sport pre-workout brand will yield great results! I will also try to find other brands to review in the future as well. I'd love to hear about your experiences! Have you tried any of the natural brands? Motivation of the day! Age is no excuse part 2! These guys are over 90 years old and still sprinting! What an incredible inspiration and I can almost guarantee that they were probably not athletes in their younger years. 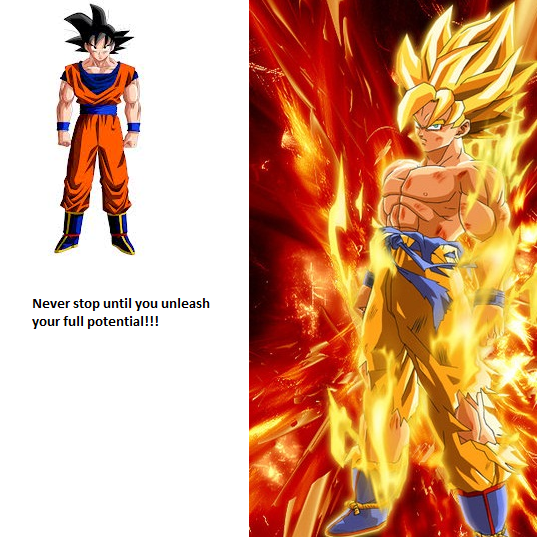 No matter how old, or how big, you can do whatever you put your mind to. Every marathon begins with one step!